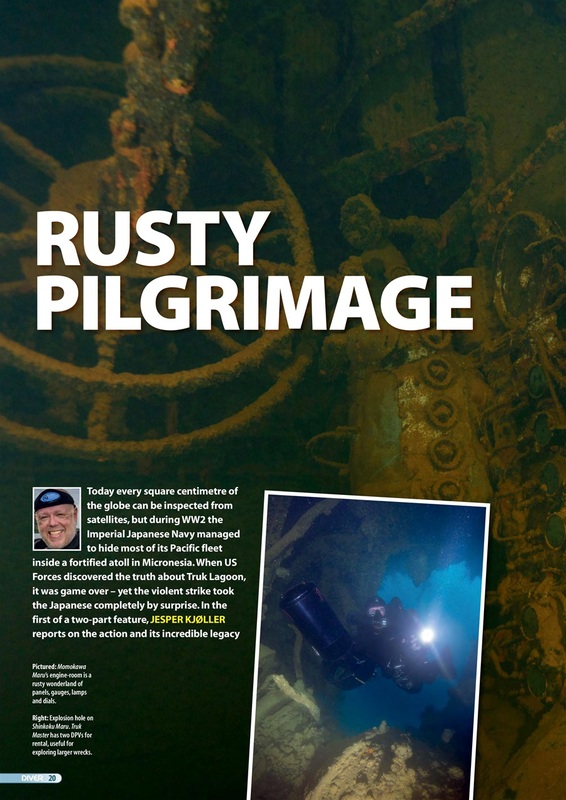 TRUK – Stormy past and blissful present. 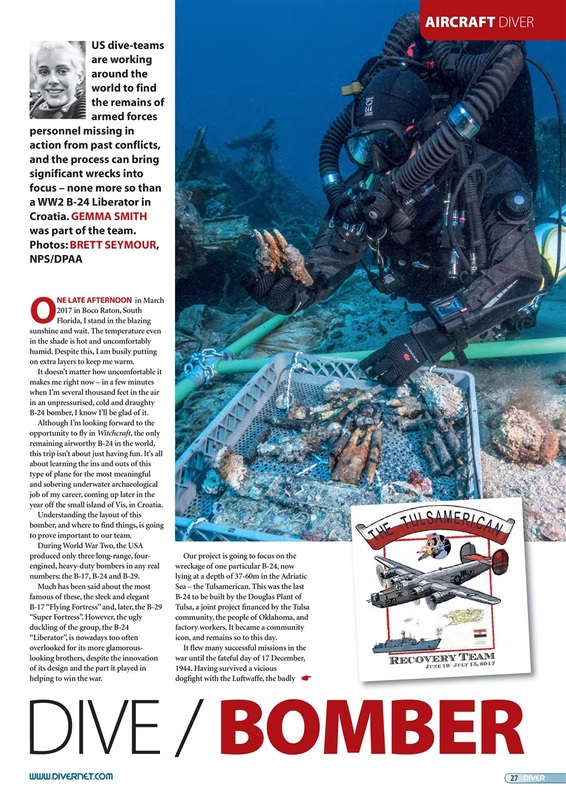 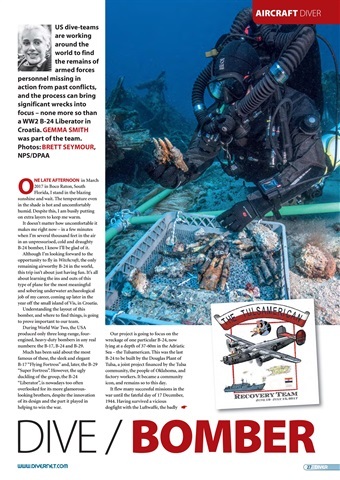 B-24 BOMBER – A Liberator in Croatia reveals its secrets. 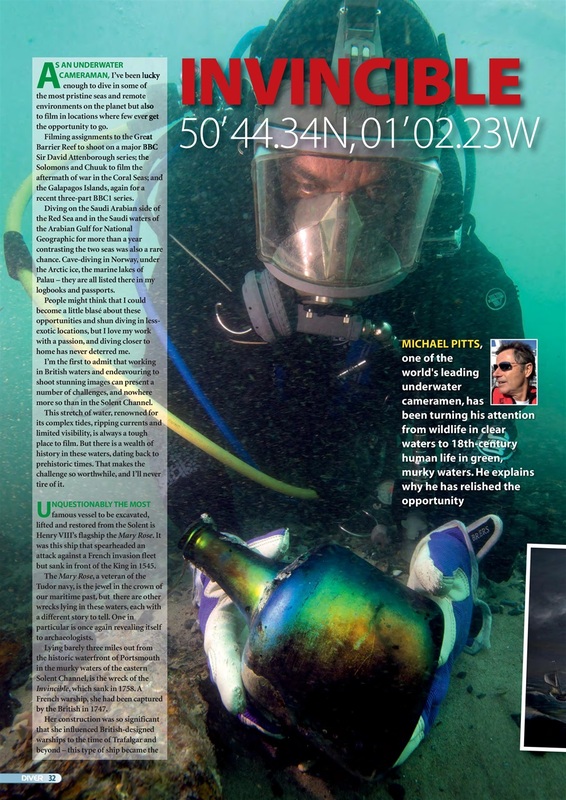 INVINCIBLE – Michael Pitts reflects on an historic wreck-site. PETER SCOONES – The technical genius of another ace cameraman. 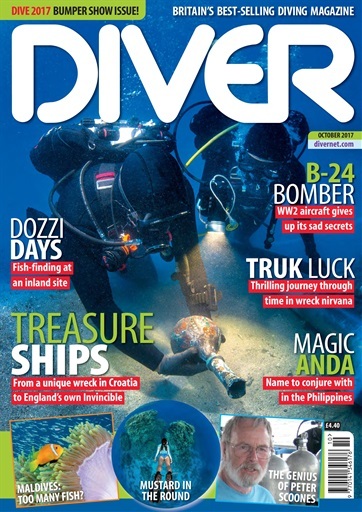 DIVE SHOW – Step inside for a DIVE 2017 preview and planner. 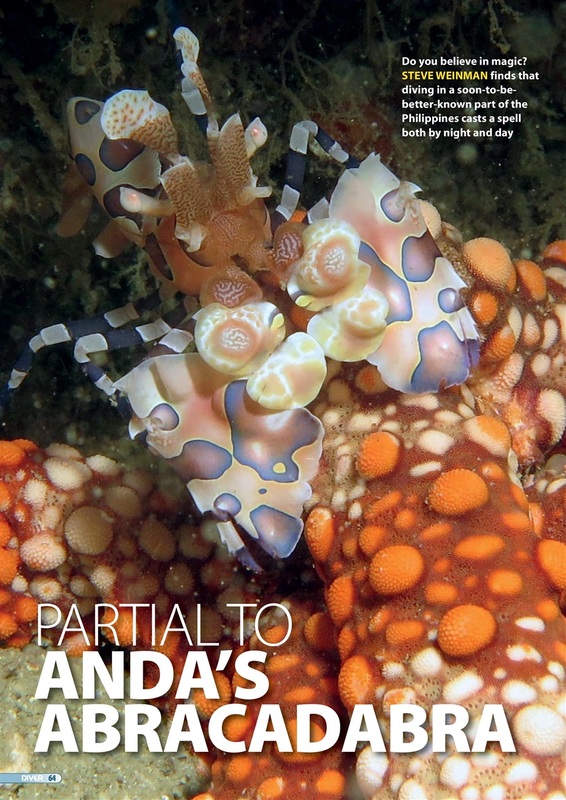 ANDA – Treats aplenty on a trip to the Philippines. 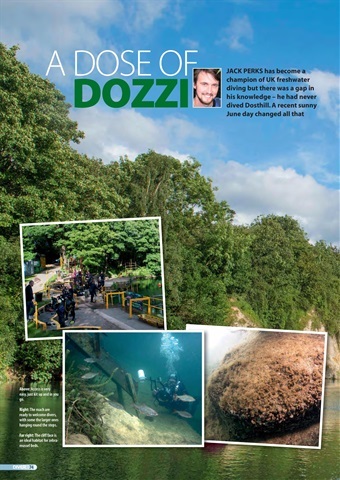 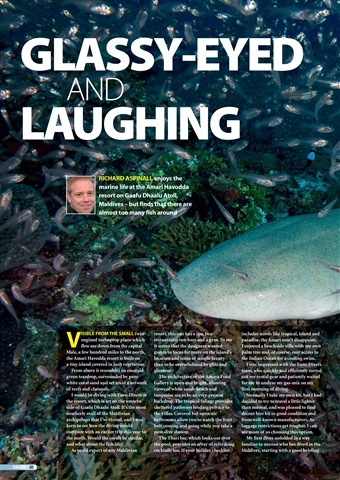 DOSTHILL – Jack Perks dives this inland site for the first time. 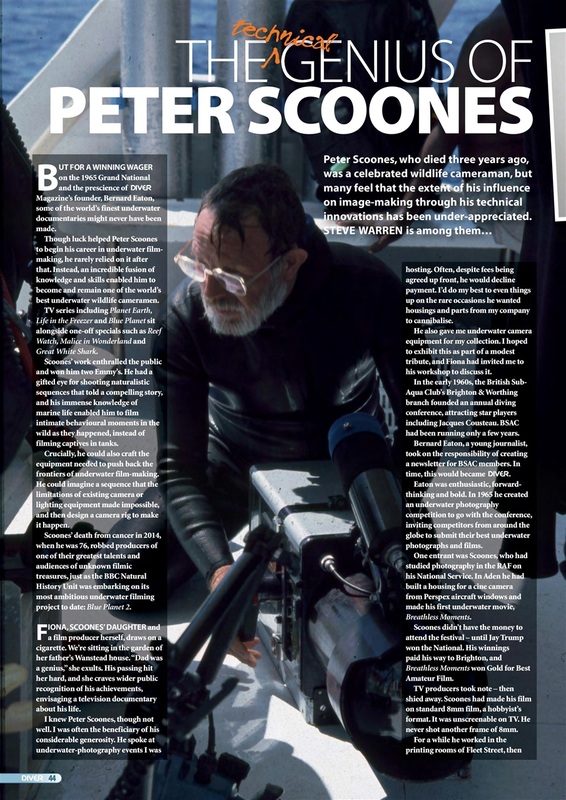 NIGEL WADE – A tribute in pictures. MALDIVES – Glassy-eyed, laughing - and smothered in fish. CROATIA WRECK – Another wreck in Croatia, with a special cargo.